Hello everyone! 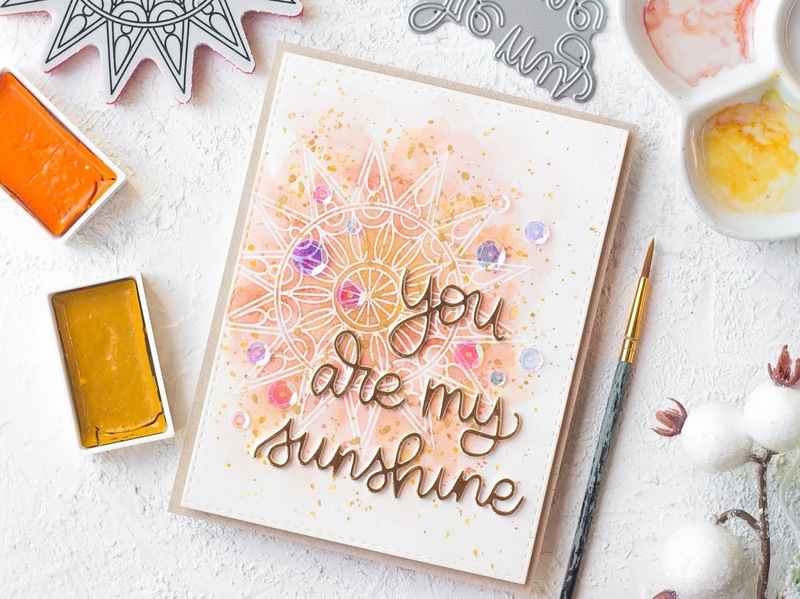 It's a New Release day at Simon Says Stamp and this time is called Sending Sunshine collection! 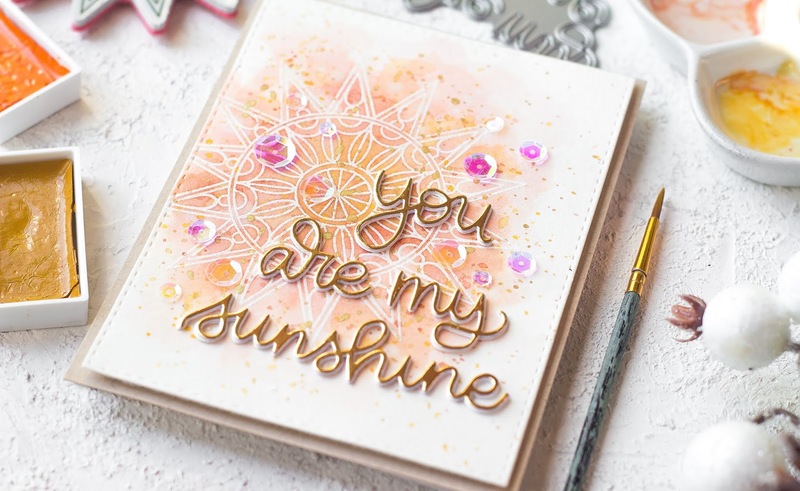 I want to show you my card featuring brand new "You are My Sunshine" wafer dies. 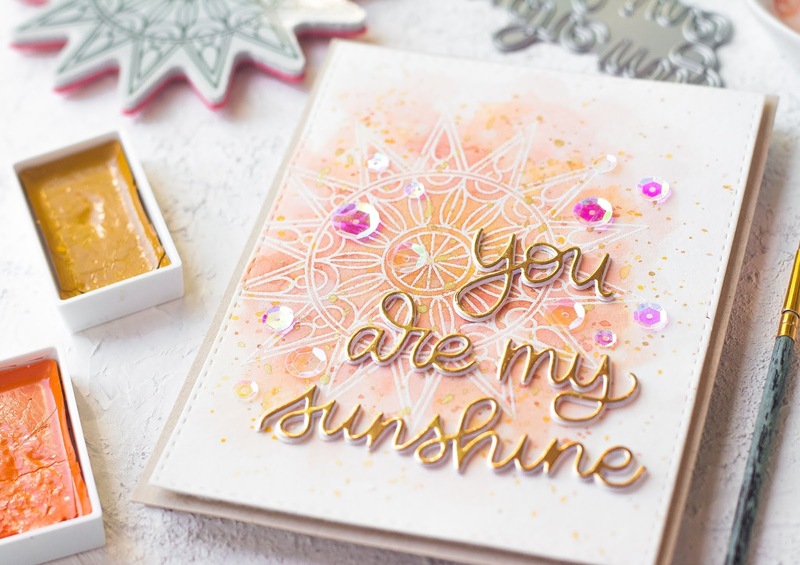 First, I stamped the center image of "Center Cut Burst" background stamp with clear embossing inks onto watercolor paper and then white heat embossed.Then I wet my paper and slightly colored the background with some peachy orange and beige paints. Once my background was dry I splattered it with the same colors and also splattered it with gold paint. 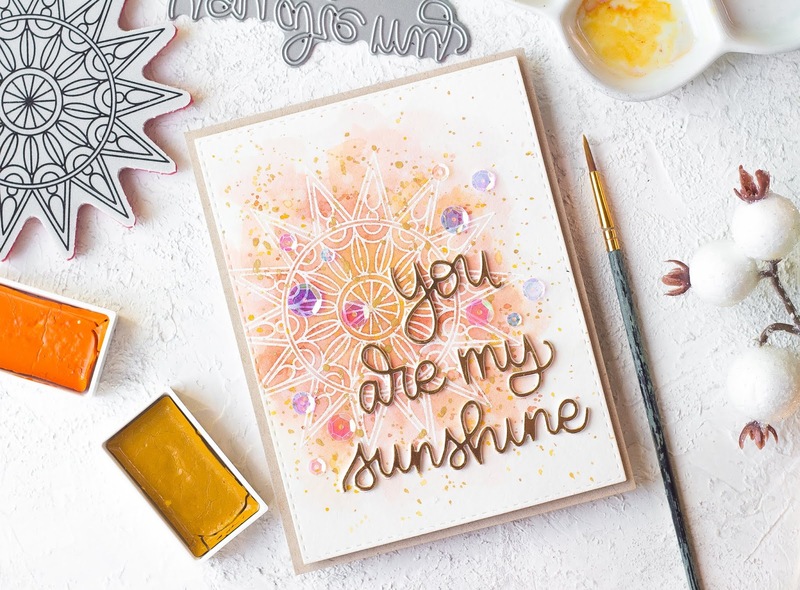 Next, I die cut the sentiment "You are My Sunshine" from new Sending Sunshine release a few times and adhered them all together with gold die cut. At last, I foam mounted my watercolor panel on top of Neenah Desert Storm card base and finished my card with sparkling sequins! Hope you liked my card and have a great day! WOW Kristina, this is stunning. 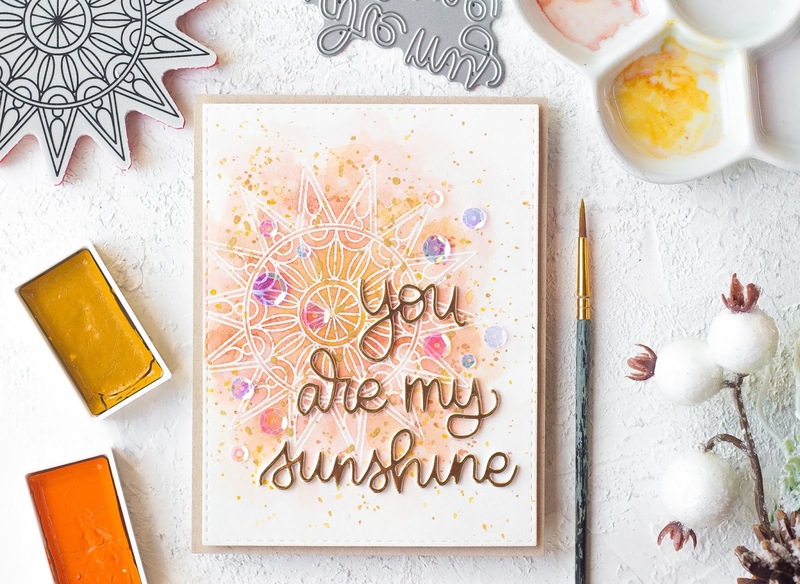 The sentiment is gorgeous with the gold. WOW, I am in awe....So lovely.